State beer laws matter. Case in point: Two weeks ago, TABC temporarily pulled the plug on The Collective Brewing Project’s scheduled release of Minor Miner Grisette. The ale, made in collaboration with Bruery Terreux, was deemed “illicit” after a script logo meant for Bruery Terreux’s distribution areas outside of Texas were delivered to [Collective Brewing’s] taproom and a few select retailers, according to Collective Brewing. 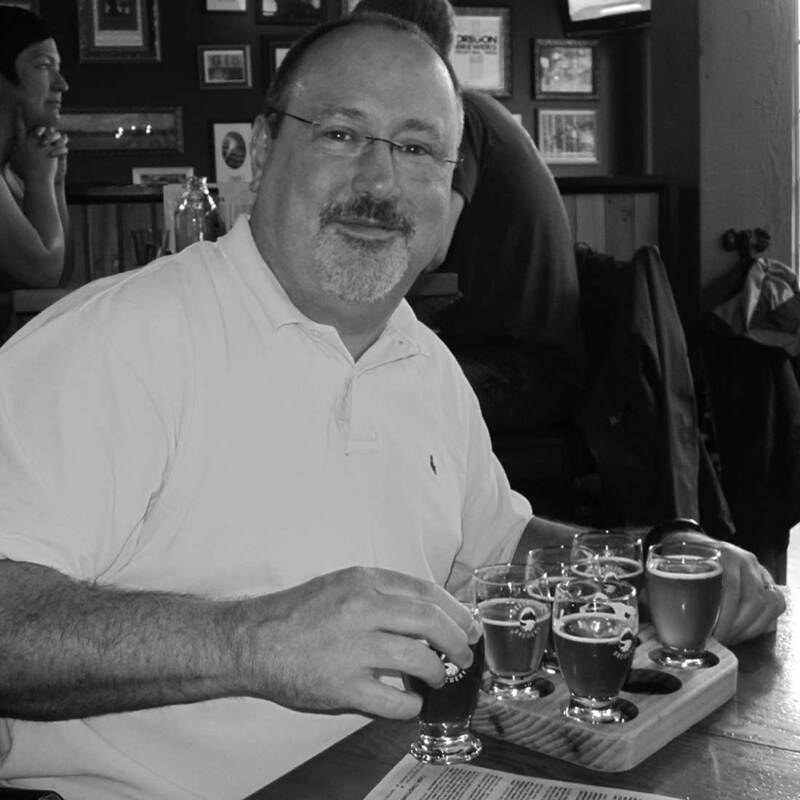 Advocating for the fair and equitable treatment of craft beer brewers is a priority for Charles Vallhonrat, executive director of Texas Brewers Association. He noted that TABC is currently under review by the Texas Sunset Commission. The commission is tasked with drafting recommendations to reform Texas agencies every 12 years. Earlier this year, Texas Brewers Guild formed a political action committee (PAC) to advocate on behalf of craft beer producers and consumers while countering the sway of lobbyists representing macrobrewers and wholesale distributors. That PAC, CraftPAC, is currently promoting a petition to support beer-to-go legislation. Texas law prohibits breweries (but not brewpubs) from selling beer to-go. The antiquated exclusion does not apply to other manufacturers of alcoholic beverages such as distilleries and wineries. One recent victory for CraftPAC was the inclusion of pro-craft beer stances by both political parties at the recent Democratic and Republican State Conventions, he added. Texas continues to see strong growth with regards to independent craft beer brewery openings. As many North Texans have noticed, those newcomers are often smaller brewpubs that cater to locals. 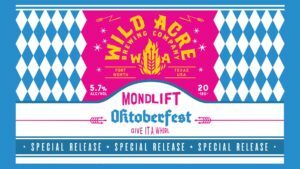 From Wild Acre: We are releasing our Oktoberfest style lager “Mondlift” Saturday, August 18th! 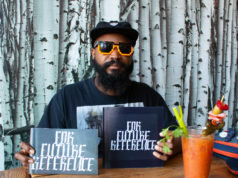 Live music: Zach Coffey, food truck: Gepetto’s Pizza Truck, and exclusive glassware! 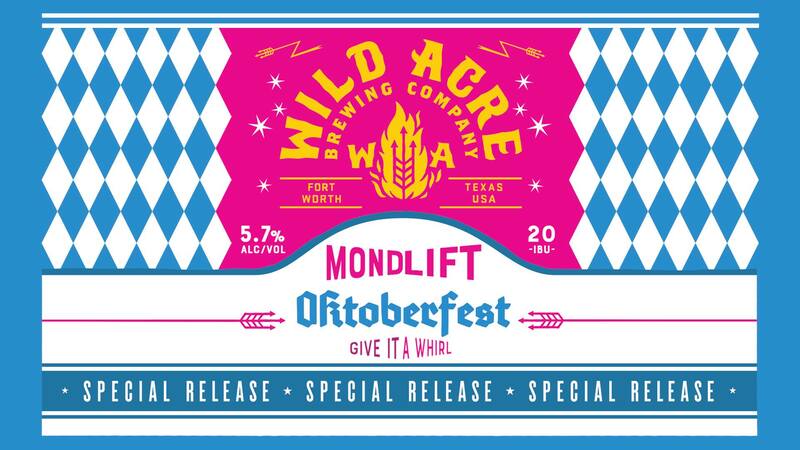 Come one out and “Give It A Whirl!” Event page here. From Rahr: Join us for Live Music, Local Food, and Delicious Beer! $10 includes a glass to take home and a 3 full pours of beer! Tour starts at 2:30 pm! Event page here.